You know, I have always desperately wanted my blog to be really me. What I'm doing, what I'm thinking, what is hard for me, what is thrilling. In an attempt to keep The Sleepy Time Gal blog really real, I'm choosing to have some days off, as needed. Like yesterday. I needed to put aside my usual daily posting and ignore it for a moment. Nothing spectacular happened in its place, just a reminder that this space is a hobby. I guess this topic falls into the blogging and reality post category from recently, right? 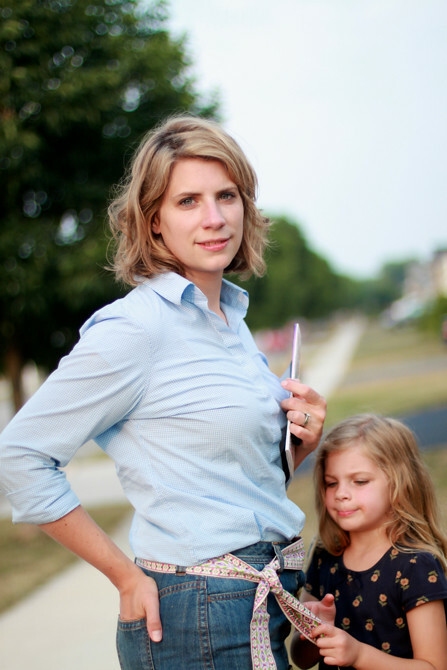 It doesn't matter what I want with my blog if my family needs me more in certain moments. Because, in the end, they are what this whole blog is about. On from one hobby to the next: the hobby of collecting random ribbon. Remember that pile of guitar-strap ribbon I loaded up on? I am slowly finding ways to use it. 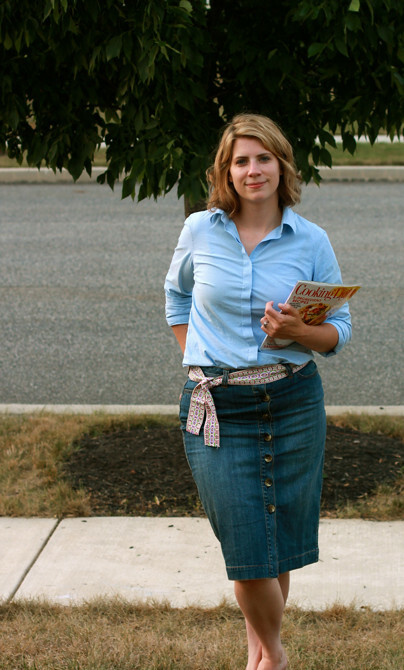 All of the varieties have become really fun to wear as belts and right, the most practical use of the ribbon. Just a loose double knot to tie it and you're done. 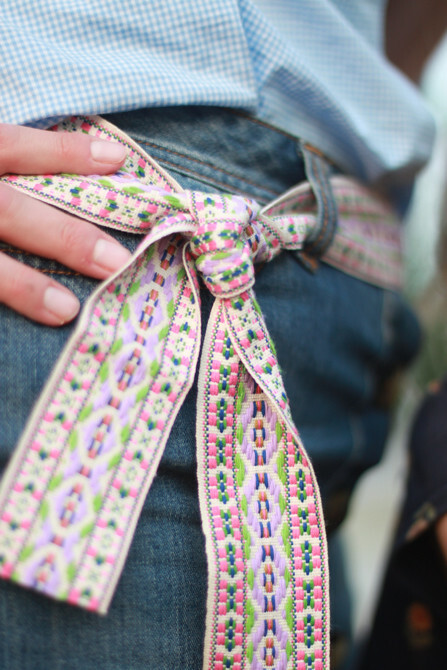 Because the ribbon is weaved on both sides, it looks like a real belt, not $1.50 a yard guitar strap. I am loving it. Feeling a little hippy-like, but loving it still. 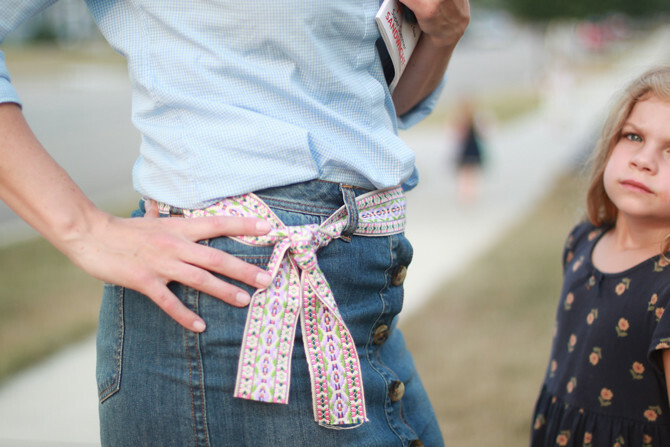 Do you ever where ribbon as a belt? And if you're interested in knowing, I did return to my hair stylist. He added a few layers, thinned it a bit (thank goodness!) and I left feeling a little lighter in the head, which was a good thing. It is the ideal hairstyle for me: extremely low maintenance. The fake it till you make it hairstyle which simply means wash and wear, everyday it looks different. Heaven knows I'd be returning to the ponytails if it wasn't.